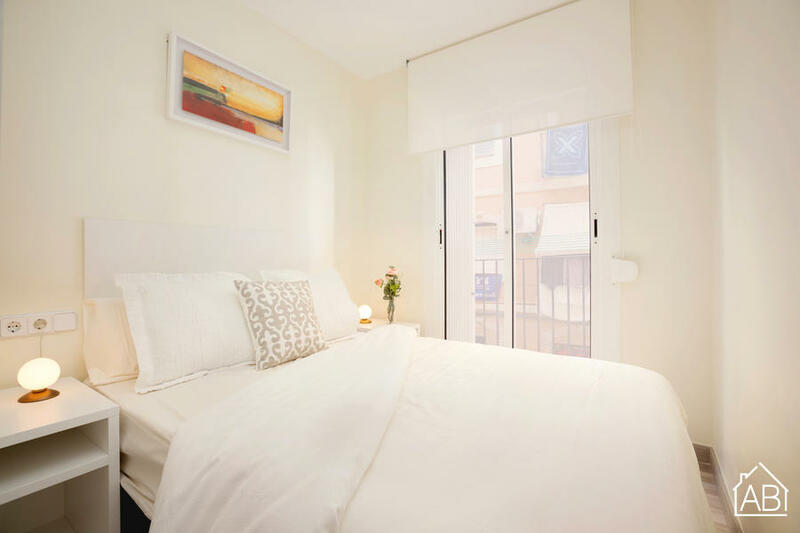 Just 2 minutes from the beach, this gorgeous apartment with balcony and free wifi offers guests a great location in the heart of the Barceloneta neighbourhood. It is just 10 minutes from the nearest metro. The apartment sleeps up to two people across two bedrooms with two double beds. There is a fantastic living and dining area with a wood finish and stylish decor, as well as a TV. There is one bathroom. The apartment is fitted with air conditioning as well as heating for the colder months. The kitchen is equipped with coffee machine, toaster, oven, microwave, and kettle. Once a traditional fishing village, Barceloneta is full of local haunts and has remained one of the most emblematic neighbourhoods of the city. It is great for those that want to live like a local, but at the same time remain well-connected to the rest of the city.